This frittata in particular is my dad’s and my favorite. 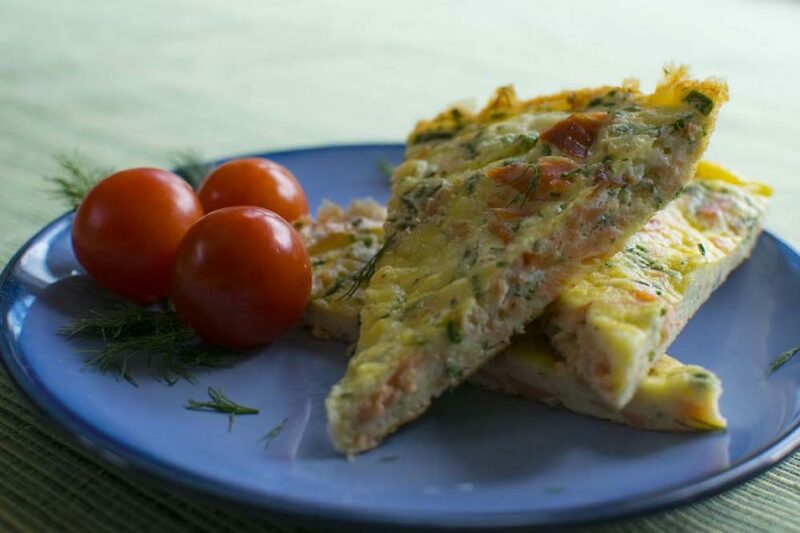 Its my smoked salmon and goat cheese frittata with fragrant herbs. YES, IT IS AS GOOD AS IT SOUNDS! I actually made this on Food Network Star Kids… the judges loved it and I know you guys will too. It’s the perfect breakfast, brunch or lunch if you want something easy and packed with flavor. It filled with smokey salmon, tangy and creamy goat cheese, fluffy moist eggs and fragrant herbs which makes it TO DIE FOR! One of the things I love most about this recipe is it incorporates salmon and the salmon here in Seattle is fantastic. Secondly, it has fresh herbs that I can just harvest from my herb garden. Its perfect! 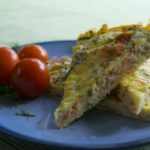 I really hope you guys try this recipe, and if you want to, you can even switch up the ingredients and create your own frittata flavor combos! If you do, let me know in the comments or send me a picture! Enjoy and I will see you in my next video!